Team India will start their England tour with a T20I affair at the Old Trafford, Manchester on Tuesday (July 3). 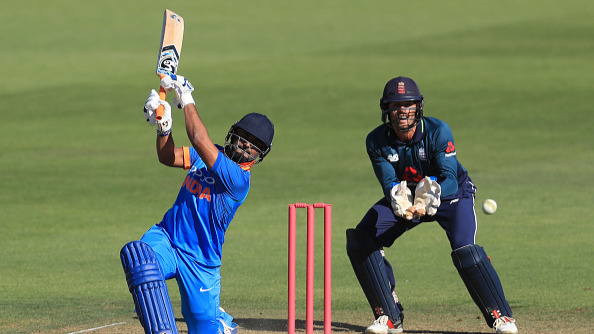 After thrashing Ireland in the recently concluded two-match T20I series, Team India are all set to start their England tour with a T20I affair at the Old Trafford, Manchester on Tuesday (July 3). 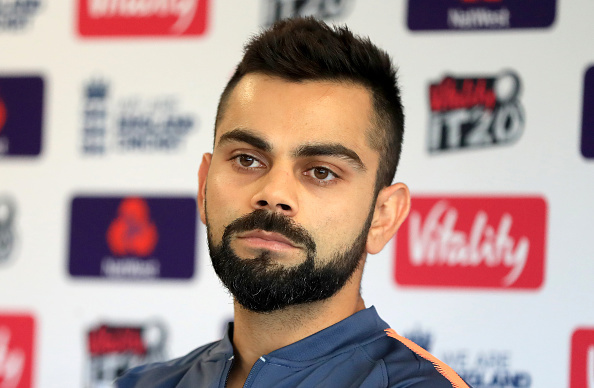 Ahead of the blockbuster contest, India skipper Virat Kohli addressed a press conference in which he categorically mentioned that his team would embrace ‘fearless’ attitude on this England tour. Kohli also stated that they have got nothing to lose and the pressure will be on hosts to perform. “We all are feeling relaxed and having a good time. We want to play competitive cricket against England. It is pleasurable to beat a good team in their own conditions. England visited India back during the 2016-17 tour, and we won the trophy at that time. England would want to win it back in their home. We are going to play fearless cricket. We have nothing to lose and we just want to improve as a team,” Virat Kohli told reporters on Monday (July 2). Talking about the limited-overs England side that recently thrashed Australia (5-0 in ODIs and 1-0 in T20I), Kohli had a special praise reserved for Jos Buttler, who has been in outstanding form since the IPL 2018. “I am not surprised how Jos (Buttler) has performed. He got more opportunities this time to play, coming up at top of the order and he showed off his skill set. He grabbed his chances and it was lovely to watch him,” he added. The Indian captain credit IPL for helping Buttler in gaining more confidence. Buttler played for Rajasthan Royals in IPL 2018, scoring 548 runs in 13 matches with a record five consecutive fifties. “Chris (Woakes) and Moeen (Ali) also played in the IPL this year. It will make the tour more interesting, as the players share good relations with each other now. 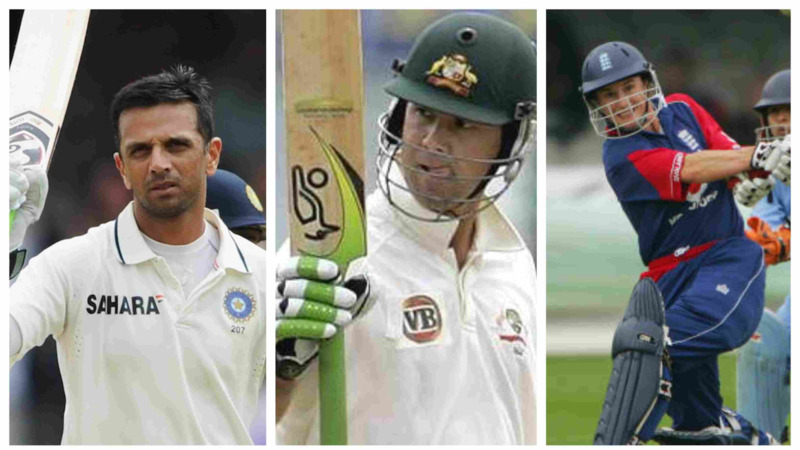 Earlier, England players used to get a little experience in IPL. But after this season, we know each other better. I am glad that the rigid mindset was kept on the side and players were allowed to come and it did great for them, it will take the standard of the game up in the tour,” Kohli asserted. He also hinted that the visitors will be flexible in their approach. “We certainly are going to be more flexible. We want everyone to have a go. We will throw in a few surprises here and there. In T20Is, because it is not such a long innings, we can afford to do that,” Kohli said. “At the start of any tour, we are as excited as the opposition. Especially, when you are playing a tough side such as England, it is a chance to test yourself. It gives an opportunity to test fringe players. We are going to try a few players, we want to test their skills, especially in limited over crickets,” he explained. 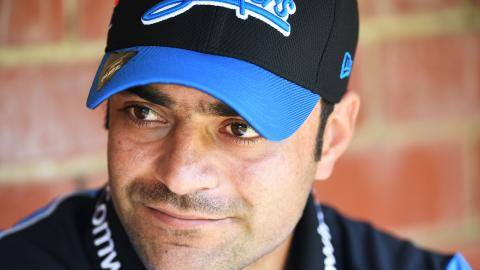 “We did the same in South Africa and we managed to bounce back after losing two matches. If we can carry on the winning mentality in England, we will learn from it. There are a few things we want to try out in ODIs as well on the tour, and hence the next phase is really important before going for the World Cup,” he concluded.